Creep yourself out while you drink your coffee! It'll get your heart racing on multiple different levels. 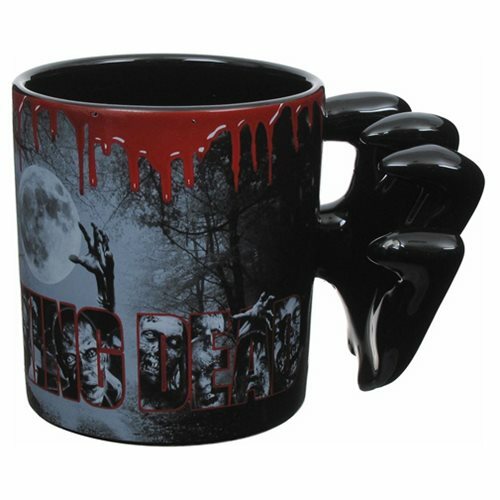 The Walking Dead Zombie Hand Ceramic Molded Mug features a bloody image from AMC's hit The Walking Dead TV series, with the handle molded into a gruesome zombie Walker's hand. Measures just over 3 3/4-inches tall x 3 1/2-inches in diameter. Hand wash only. Do not microwave or freeze below -10ºC. Ages 12 and up.